What is the selection criteria for choosing a gear reducer? What are the different types of gear reducers? When should you use a planetary gearbox? When should you use a worm gear reducer? When should you use a gear train gear reducer? When should you use a bevel gear reducer? How to calculate the dimensions of your gear reducer? A gear reducer is a mechanical transmission device that connects a motor to a driven load. It is also known as a gearbox. It allows you to modify the torque and speed between a motor and a load. Reduction gear assemblies are made up of series of gears. The gear reduction ratio (the ratio of the number of teeth between input and output shafts) is also known as the transmission ratio. Before buying a gear reducer, it’s important to take several factors into account. A gear reducer is used to adapt the characteristics (torque and speed) of the input and output axis of a mechanism. This is why you have to know the torque and rotation speed. It is therefore appropriate to ask yourself about the torque first and foremost. 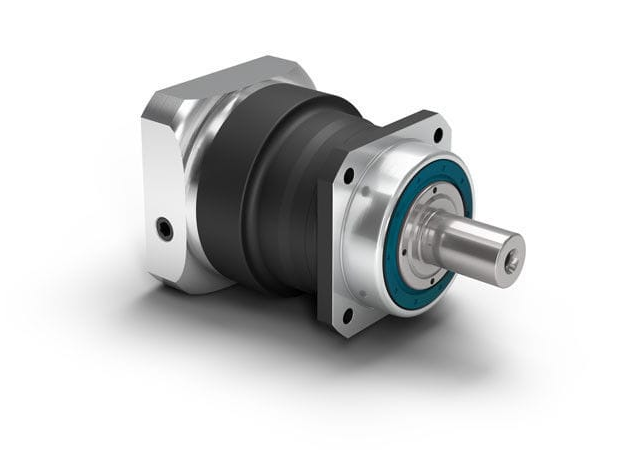 A reducer increases the torque of your motor and thus allows a receiving member to rotate under the impact of a new torque. Gear reducer manufacturers sometimes indicate the minimum and maximum torque (expressed in newton meters, N.m) that can be supported by each of their products. The torque density varies according to the gear reducer. 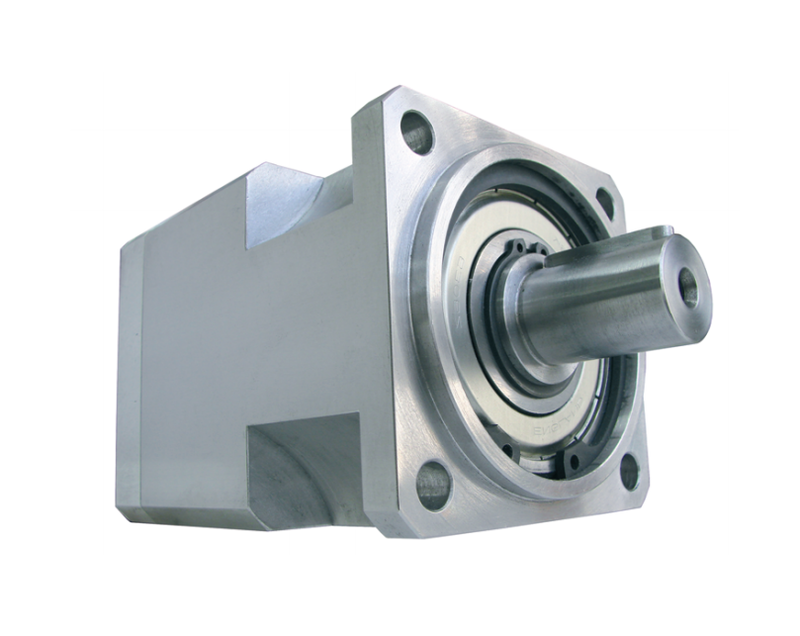 For example, planetary gearboxes have a high torque density. The other purpose of a gear reducer is to reduce the motor speed and we recommend that you take into account the ideal reduction ratio for your use. 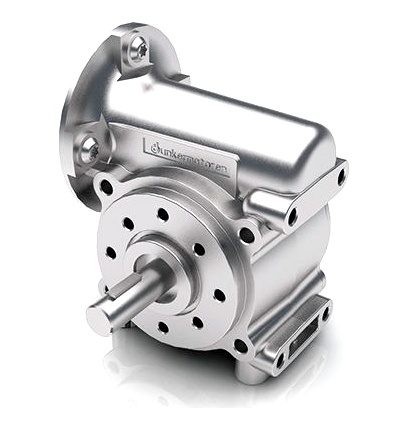 Based on the rotational speed of your motor, the reduction ratio is used to determine the output rotational speed. This information is also indicated by manufacturers on their product pages. It is given in revolutions per minute. Lastly, you should ask yourself what kind of gear reducer assembly is most appropriate for your application. The input and output shafts of your gear reducer can be coaxial, parallel-shaft or orthogonal. This depends on your intended use. There are four main types of gear reducers: planetary gear reducers, worm gear reducers, gear train gear reducers and bevel gear reducers. Each gear reducer has its advantages and disadvantages. You will have to choose the one that’s the most adapted to your intended use. For example, if you are looking for a good level of efficiency, perhaps you should consider a planetary gearbox rather than a bevel gear reducer. One of the main characteristics of a planetary gearbox is the coaxial assembly. This type of assembly means that planetary gearboxes are compact. The advantages of planetary gearboxes include their compact size, high efficiency, low clearance and high torque to weight ratio. On the other hand, their complex and costly design requires specialized maintenance. 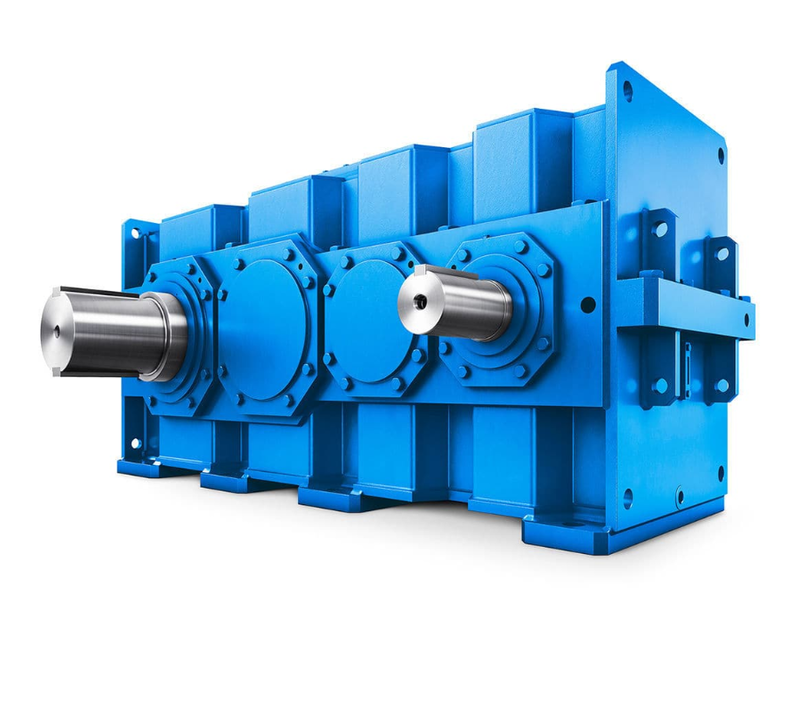 We recommend the use of a planetary gearboxes for applications requiring strong accelerations (robotics) as well as for applications with a slow speed but high torque (industrial rotary furnaces). They are also widely used for machining centers and other machine tools, and mobile machinery used in public and agricultural works. Worm gear reducers have perpendicular input and output shafts. They are generally used for applications requiring a very high transmission ratio. 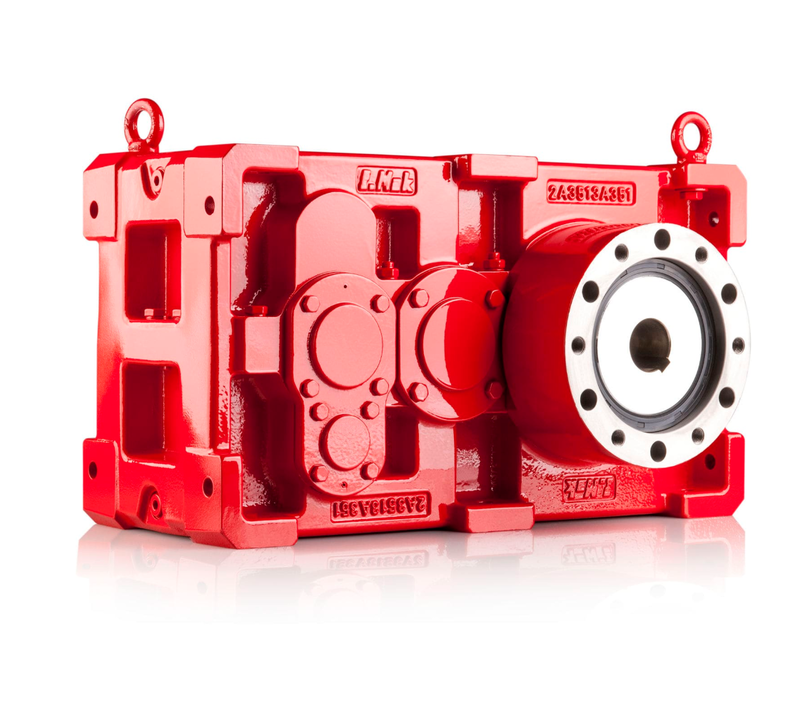 The mechanism of worm gear reducers is non-reversible. This means that the worm wheel cannot drive the worm. The advantage of this non-reversible mechanism is that it ensures a greater level of security for the system. Worm gear reducers are less expensive than planetary gearboxes and are also quieter. Worm gear reducers do not vibrate, so they generate little noise and are more comfortable to use. However, like planetary gearboxes, worm gear reducers heat up quickly due to how compact they are. They also have a variable performance level. You can however improve the performance by combining your worm gear reducer with other gearboxes and gear trains. We recommend that you choose this type of technology for conveyors, winches and handling. The simplicity of their technology will allow you to save on maintenance costs. Additionally, gear train gear reducers have a very high performance level, close to 1. They have a low reduction ratio per gear train. Bevel gear reducers’ main characteristic is their angular bell crank, which allows the user to change the machine’s rotation system. This will allow you to switch from a transverse rotation system to a longitudinal rotation system. 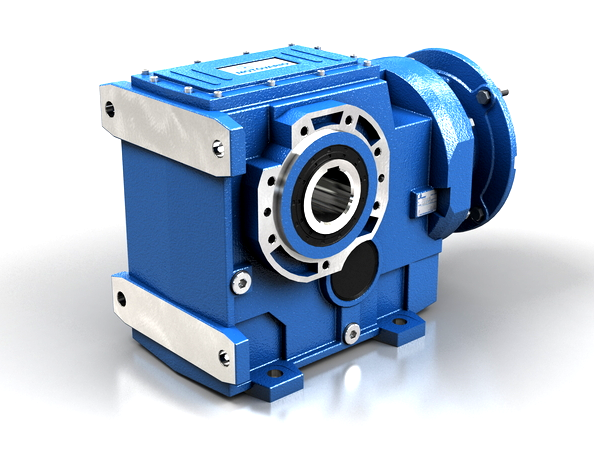 Bevel gear reducers are compact. They are also robust and can handle a lot of power. As such, if you need a high torque we recommend that you choose this technology. The robustness of their teeth allows you to use them with three-phase asynchronous motors, or synchronous or asynchronous servomotors. Bevel gear reducers are quiet, making using them pleasant to use. Additionally, they offer a high performance level and are energy efficient. Their performance level remains lower than planetary gearboxes however. Bevel gear reducers are also very expensive and require difficult maintenance. Bevel gear reducers are generally used for high-powered conveyors, but also for mobile machinery used in agricultural or public works. In order to calculate the dimensions of your gear reducer, you will need to choose the right shaft. There are three different shaft orientations: orthogonal, coaxial and parallel. If a gear reducer has an orthogonal shaft orientation, the input and output shafts are perpendicular. This is often the case for bevel gear reducers and worm gear reducers. Orthogonal shaft orientation is also used in industrial installations and differential automotive bridges. If a gear reducer has a coaxial shaft orientation, the input and output shafts are aligned. This is the case, for example, for planetary gearboxes or gear reducers used in engines and turboprop engines used in the aeronautic industry. If a gear reducer has a parallel shaft orientation, the input and output shafts are parallel. 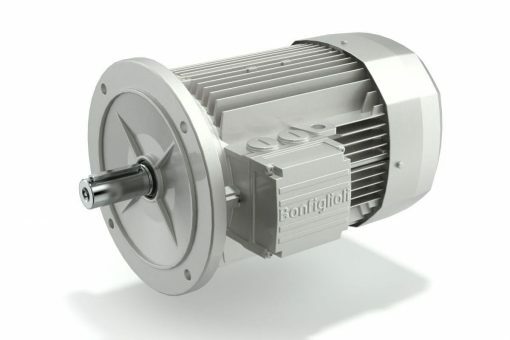 Magnetic gear reducers can advantageously replace conventional gear reducers to ensure speed and torque multiplication by using magnetic attraction instead of physical contact between moving parts. To date, complex assemblies, high weight and low torque have slowed the diffusion of this magnetic technology. However, magnetic gears eliminate the need for lubrication and therefore minimize maintenance costs. No lubrication also means that mechanisms can operate at extreme temperatures (currently tested from -200˚C to 350˚C). These advantages are particularly attractive for applications with high maintenance costs or for those working in extreme environments such as satellites and other aerospace devices. Along with usage and corrosion, wear is one of the three main factors limiting the life and performance of mechanical components and technical systems. 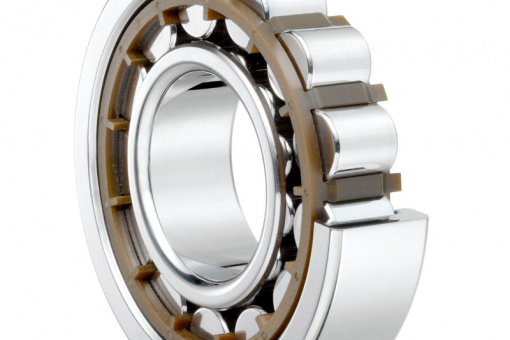 With magnetic reducers, the absence of friction not only eliminates wear of the system, it also has a direct impact on service life, which can be the key to maintaining mechanisms that cannot be easily replaced. Material detached from the worn surface in conventional transmissions cannot be easily removed, which can be a significant cause of contamination. 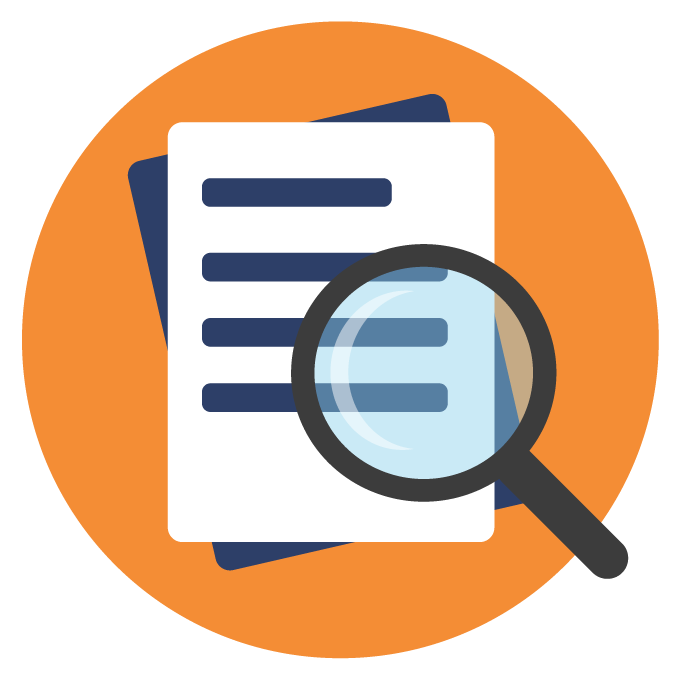 Contamination is a particularly serious problem for equipment that cannot be constantly maintained.